Cooking classes are ideal for date nights, birthday parties, corporate events, private parties, and just mingling with strangers over food. Illinois offers many interactive cooking classes taught by professional chefs who provide engaging, memorable experiences. The following cooking classes are informative, interesting, and fun for all ages (including kids) and culinary skills. 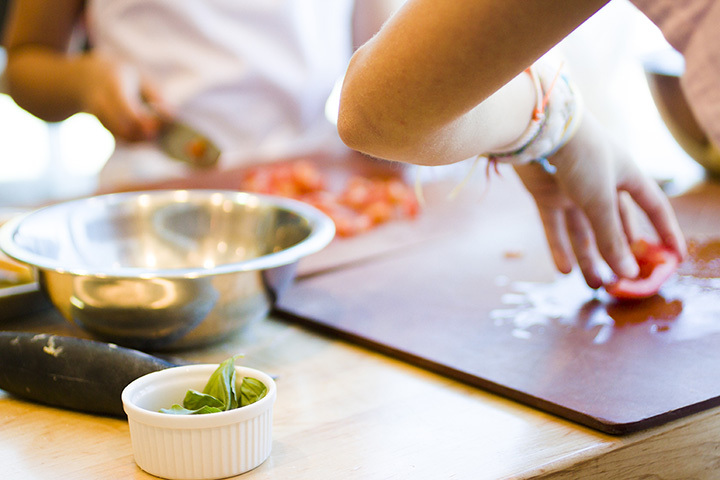 Whether you’re a complete novice in the kitchen or experienced chef looking to learn a new cooking style, these cooking classes will give you valuable skills in the kitchen. Taste Buds Kitchen offers classes for both kids and adults. From holiday cooking to kids cooking classes and chocolate chip cookie camps, this facility offers something for everyone. They also offer private lessons for people wanting more specialized attention. Professional chefs, educators, and food enthusiasts are found at Marcel’s Culinary Experience. They offer hands-on classes, free interactive demonstrations, and other culinary experiences here. Students really appreciate how informative and fun the classes are at Marcel’s. The classes at Confetti Gourmet Academy are taught by culinary professionals in a fun, casual setting. They offer hands-on classes, demonstrations, private classes, family fun nights, series classes, and more. The interactive atmosphere, dedicated instructors, and professionally-equipped kitchens makes these classes some of the best in the state. For an exciting cooking environment, look no further than Cook, Cork & Fork. Their entertaining, yet educational, classes are held in their private gourmet kitchen featuring state-of-the-art appliances and cookware. They offer knife sessions, culinary nights, family cooking classes, and teen chef classes/parties. Whether you’re a baking expert or cake decorating newbie, you’ll be in good hands at the Wilton School. Their cake decorating classes are taught by helpful, knowledgeable instructors in a clean, organized environment. With over 85 years of experience, the Wilton School houses cake decorating professionals that do a fantastic job at teaching the art of baking. With two locations in Chicago, the Chopping Block is the ultimate recreational cooking school in the city. The chefs at the Chopping Block have years of professional experience and ensure every class is interesting and informative. They offer many types of cooking classes including hands-on, demonstrations, and kid’s classes. Wine and grilling classes are also available at the Chopping Block. Learn expert cooking skills from real restaurant chefs at Cooking Skills Academy. Their classes teach cooking styles from around the world, allowing students to experience a wide variety of cultural cuisine. No prior cooking experience or skills are required to enjoy these fun, interactive classes. Discover vibrant flavors from around the world at Naveen’s Cuisine. Although specializing in Thai and Indian cuisine, they also offer vegan and many other cooking classes. Their classes are ideal for birthday parties, corporate team-building activities, and other private events. Chef Susan Steffan from Food Network shares her gourmet culinary secrets at Breakfast Diva in Galena. Her classes are personal and interactive with lots of food samples at the end. This award-winning chef is especially known for her scrumptious breakfasts.